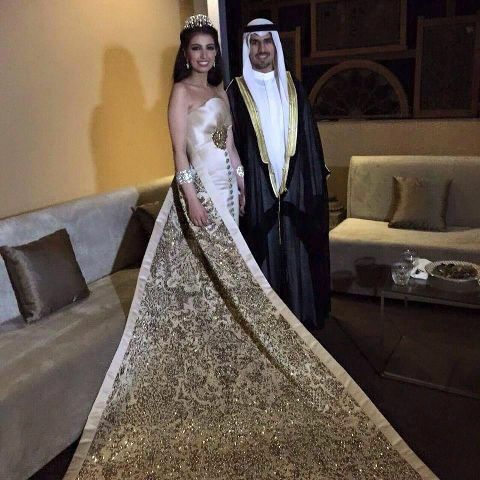 HRH Shaikh Fahad bin Nasser bin Sabah Al-Ahmad, the grandson of the Prince of Kuwait, and Fay bint Loay bin Jassim Al Kharafi, the granddaughter of the speaker of the National Assembly of Kuwait, captured the headlines with their luxurious wedding. Check out the details below. Wedding Favors: The wedding guests were all presented with stunning diamond rings as wedding favors. Entertainment: Saudi singers Mohammed Abduh, Rashid Majid, Abdul Majeed Abdullah, and Nabil Shuail, along with Nawal (Kuwait), Hussein Al Jasmi (UAE), Myriam Fares (Lebanon), and Essa Kubaisi (Qatar).